Steve is married to Deborah and they have two children together, Brandt and Natalie, and one grandchild, Stanley. They live in Lee, New Hampshire. At this time in his life, Steve enjoys spending with his family including his children and grandchild, and working out at the gym. When he get the chance ( his job has him traveling for 8-9 months out of the year), he enjoys sports and is an avid fan of the New England Patriots & Boston Bruins. 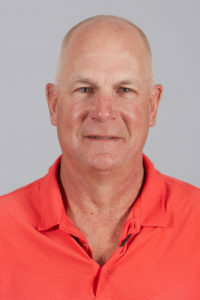 He is the Special Assistant to the GM of the Cleveland Indians and his responsibilities include Professional Scouting mainly in the Northeast part of the country but he does spend time in Arizona in the Fall and Spring. While his career doesn’t take his back to the Bay Area often, he does makes it back to the visit his mom in Danville (his father passed away in August 2002). 2002-Present: Cleveland Indians: Player Personnel, Major Scout, Director Of Pro Scouting and now Special Assistant to GM.